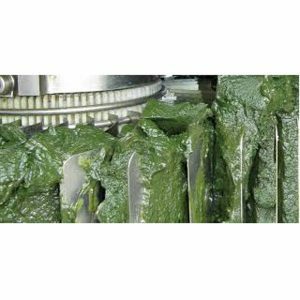 Our Freshwater copepods are tank grown and harvested with out fish so there is no chance of tank inhabitants getting any fish borne or transmitted viruses, bacteria or fungal infections. 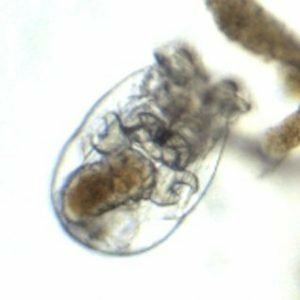 These copepods have been multiplying for over 12 months now and started from a small lab raised colony. 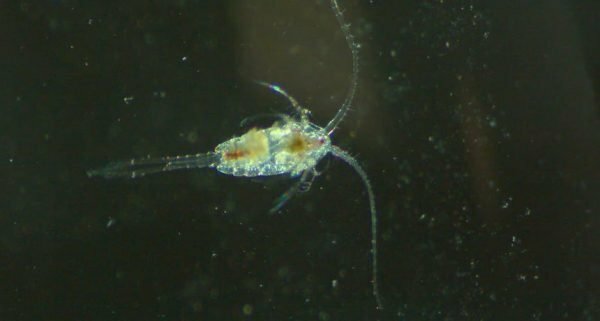 Male copepods clasp females with their first antennae during mating. 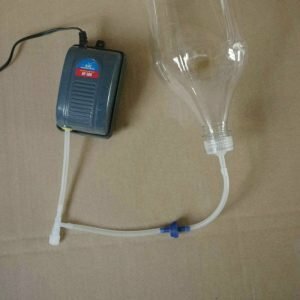 Eggs are held for a short time in one or two egg sacs attached to the anterior part of the urosome. 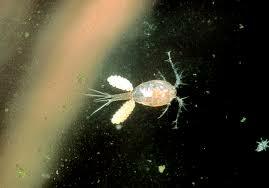 They hatch to nauplius larva. This is small, unsegmented and ovoid with three pairs of appendages; antennules, antennae and mandibles. There are six naupliiar instars followed by five copepodid stages before the adult form is attained. 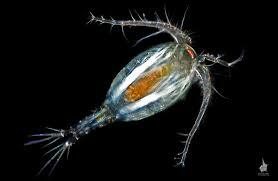 The copepodid stage is small, adult like but without the full number of biramous swimming legs. Sexes are separate with sexual dimorphism reached during the final moult from copepodid stage five to six. 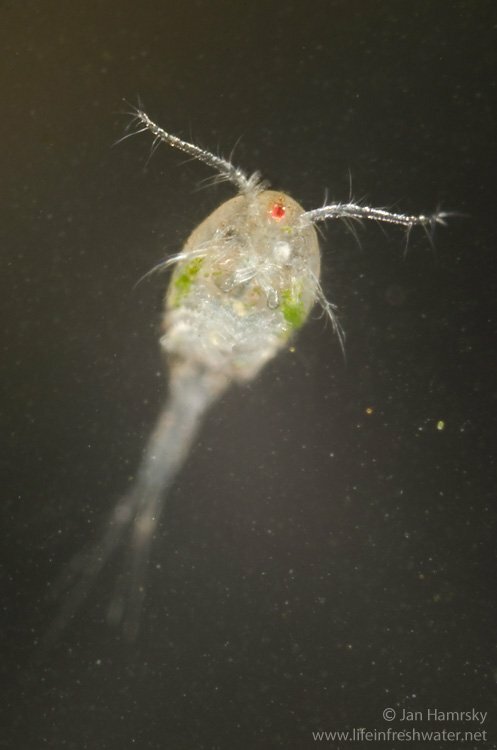 Copepods reach peak reproductive maturity at twenty four days with a life span of fifty days. 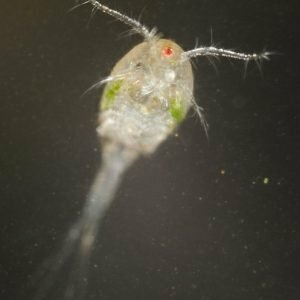 Populations of copepods are influenced by temperature, food availability, predation and overcrowding.